Robert Bates Graber, Professor Emeritus of Anthropology in residence at Truman State University, continues to write anthropology but recently has begun publishing poetry as well. His anthropological corpus includes the very readable books Plunging to Leviathan? 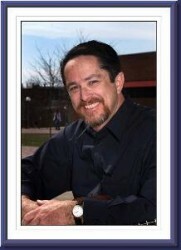 (Paradigm Publishers, 2006) and Valuing Useless Knowledge (Truman State U Press, 1995, 2012). With a longstanding love of English literature, he has been influenced as a poet especially by Shakespeare, Tennyson, Robert Frost, and Richard Wilbur. When a friend innocently asked, following Pluto’s provocative demotion in 2006, “Is plutonium an element?” Graber was inspired to write Plutonic Sonnets, a 165-poem sonnet cycle around and about the discovery and naming of planets and elements. The sonnets, mostly of the incomparable “Shakespearean” form (evidently created by Henry Howard, Earl of Surrey), are full of history, myth, science, and romance. Graber lives with his wife, Rose, in Kirksville, Missouri where he enjoys bicycle racing, backyard astronomy, and classical guitar. Here, published separately for the first time, is the dramatic climax of the epic sonnet cycle Plutonic Sonnets (PublishAmerica, 2008). 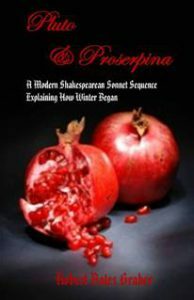 Bracketed by lyrical love sonnets in the Elizabethan style, eighteen sonnets—mostly narrative, but in the Shakespearean form—retell the myth of Pluto and Proserpina in a new and unforgettable fashion. Beautifully packaged, this sonnet sequence glows with wry humor and subtle wisdom. Read it with pleasure; give it with pride!